As a landlord, you want to make sure that your investment property is delivering the maximum market rent, with the minimum number of days spent empty. Not only that, but you want to make sure that the tenants will pay you on time and look after the property so it can keep earning you returns for the long-term. We understand the needs of landlords, and take the time to listen to your exact requirements so we can find the right tenant for your property. We treat every investment property as if it were our own, and take care to place only the best quality tenants. Every potential tenant is comprehensively screened by our partners at Rent4sure, who send us an in-depth review of references, credit score, employment details and all the other indicators that help us determine if a tenant is suitable for one of our landlords’ properties. We also use their identification documents and proof of address to conduct a ‘right to rent’ check on your behalf. You can rest assured that every measure has been taken to ensure only the highest quality tenants are placed in your property. 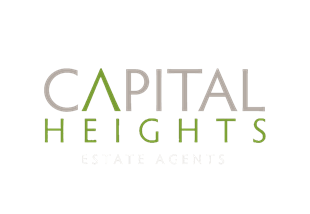 Capital Heights was created to set ourselves apart from our competitors by placing the client front and centre. All our staff are committed to an ongoing training program to ensure we maintain the highest professional standards. We put the customer before commission, and will go above and beyond to ensure you’re happy with the service you receive. Not only do we list your property on Rightmove, Zoopla and Prime Location, we actively promote it with potential tenants who have registered their interest with us. In addition, we work closely with a number of corporate businesses who provide us with high quality tenants to place. With a mix of focused marketing and wide exposure via the internet, we’ll make sure that we attract the right kind of people to view your property. By listing your rental property with us, we can provide a hands-off and hassle-free service. At the same time, we want to make sure you’re not left in the dark and worrying if there’s been any interest in your property. We take the time to listen to your needs, and find out how often you want to be updated. We’ll keep in touch as often or as little as you like, by email or phone. And if you have any questions and reach out to us, we’ll make sure you get a quick response. It’s all part of our commitment to providing the best possible experience for our clients. We know you don’t want to be receiving phone calls about lost keys in the middle of the night. At Capital Heights, we offer full-service property management which means you can sit back and enjoy the profits from your investment without being bothered by all the hassle. We give you peace of mind by handling all the day to day questions from tenants, even about something as small as changing a light bulb. Our experienced team manages more than 125 properties in the local area, so we know exactly what you’re looking for in a hassle-free investment. We’ll save you time and worry right from the start, by organising the inventory, energy performance certificate and gas certificate for you. We’re also a member of the Deposit Protection Scheme, giving you and the tenant confidence that the deposit is in safe hands. Any time you need us, your dedicated property manager is just a phone call away. Pay authorised contractor invoices, deducting from the rent payable. We’re part of the community, and know it inside out. Our experienced agents have been working in the local area for over ten years. We’ll be able to give you the best advice on what rental price your property can realistically achieve. We’re all about trust, so unlike other agencies we’ll never give you an inflated figure just to win your business. Our reputation means everything, which is why our landlords continue to turn to Capital Heights when it’s time to rent and manage their properties. To find out more about exactly how we work with our valued landlords, look at our Step by Step Guide for Landlords.